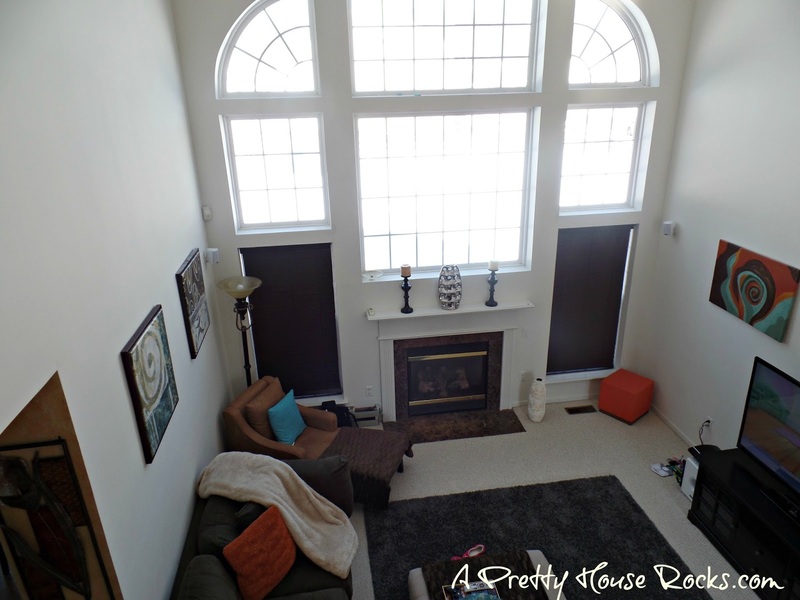 2 Story Family Room Easy Paint Idea....No Scaffold Required! 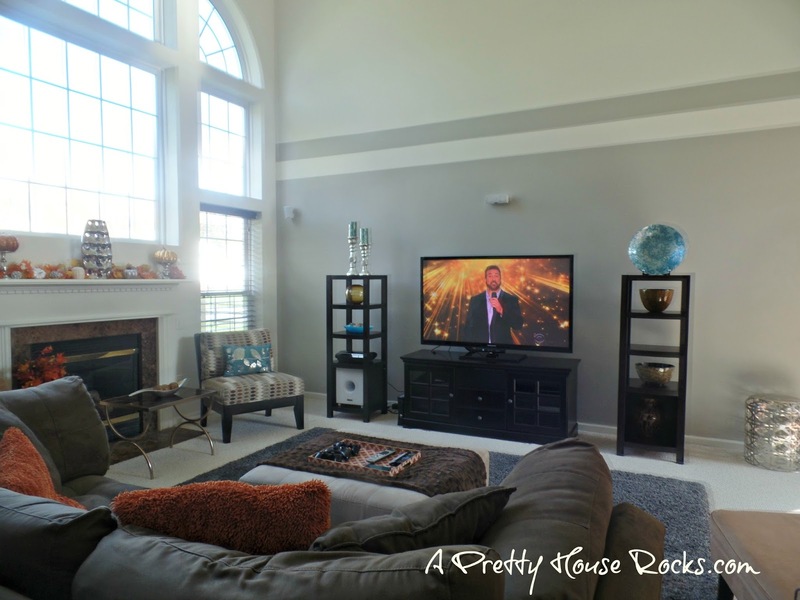 Is your 2 story family room a spacious and beautiful painting nightmare? I used to love the idea of having a 2 story open floor plan and all that... yada yada. It's nice, but I've been having the most difficult time with painting the walls, because honestly I like to do my own painting...and who can paint a 2 story room without a scaffold? I'm 5'2"...it ain't happening! So I improvised, and after visiting a model home I decided to try a little strategic painting. See here is the Before family room with plain white walls. And here is the After with my new paint....I really think it turned out great. I've been on a mission to change the color tones of my home and chose Mindful gray from Sherwin Williams. Absolutely Love It !!!!!!! 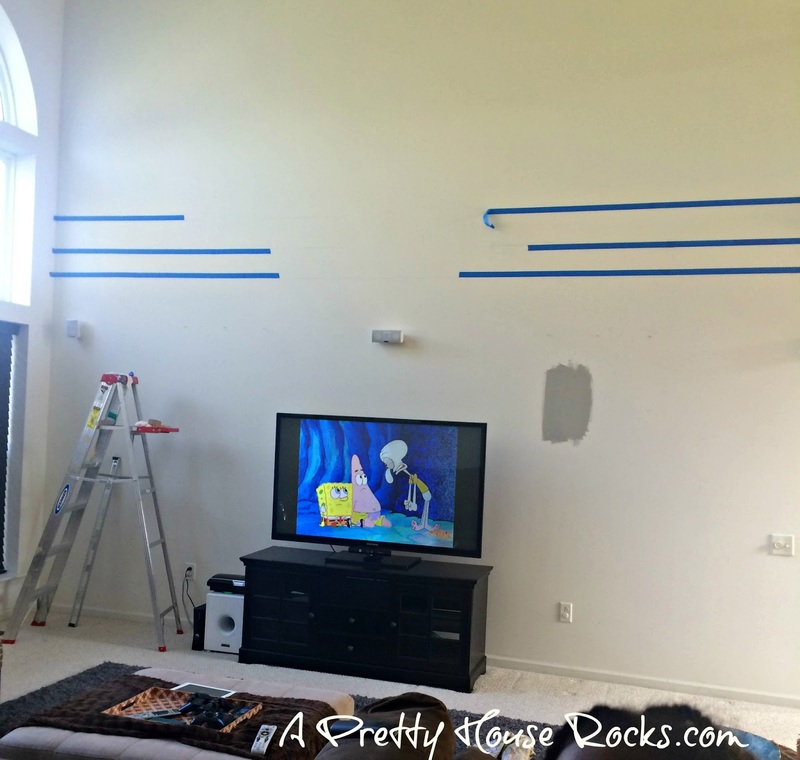 I taped and I painted half the wall, and added a painted wide stripe to the top. It really looks decorative, and I was able to get away with painting half the wall without it looking silly. No one will ask, "why did you paint half the wall?" No reason to. I taped the wall very carefully in three rows, leaving a wide space in between. Kind of tedious, but thankfully there wasn't a lot of wall to tackle. I also used my husbands level to make straight lines. It couldn't have turned out better. I can't wait to add curtains! Here (Below) is a before pic of the other wall before I painted. And here (Below) is an after pic...I painted the same pattern on this side, to balance out the room. 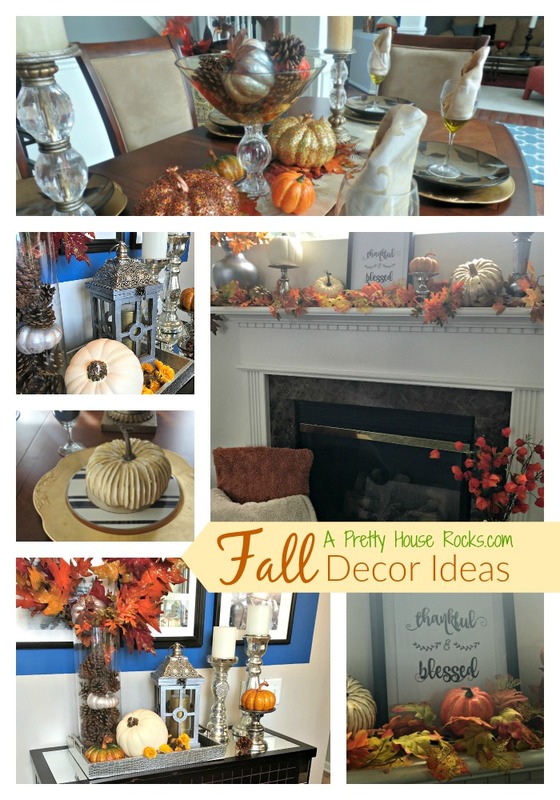 I love how this turned out, I hope this inspires you to use paint as a design element! Thanks for visiting!